In Incan times, Machu Picchu was the transition capital city, between the Andes and the jungle, as well as Inca Pachacutec´s creation and favorite retreat, conceived to shelter his mummy, after his physical death and, today, it is number one in Tripadvisor´s worldwide qualification surveys, and Peru´s number one tourist destination, with over one million visitors per year. Indeed, archaeological studies have demonstrated that Machu Picchu was built in the middle of the 15th century, with stones extracted from a huge granite chaos quarry, between Mounts Machu Picchu and Huayna Picchu, at an average altitude of 2,450 meters (8,038 feet) above sea level, on the Oriental slopes of Southern Peru´s Central Cordillera. According to documents of the middle of the 16th century, Machu Picchu would have been one of the resting residences of Inca Pachacutec (1438-1471) who was the Ninth Inca and First Emperor of the Tahuantinsuyu. However, the quality of its main temples and constructions, as well as the presence of ceremonial centers, as much inside Machu Picchu, as on the access paths to the liaqta, as well as compounds dedicated to astronomical and other scientific activities, show that it also served religious and scientific purposes. The Sacred Liaqta of Machu Picchu probably was the most amazing achievement, at the time of the Incan Empire´s apogee, as it seems as though its walls, platforms, terraces, gigantic ramps and irrigation system have been sculpted out of the bedrock, and are part of it, as it harmoniously integrates itself in its majestic surrounding landscape. There are evidences which show that, in July of 1902, Machu Picchu was visited by Agustín Lizárraga, Gabino Sánchez, Enrique Palma and Justo Ochoa who were from Cusco. Then, Hiram Bingham; an American explorer and Modern Latin American History Professor interested in finding Vilcabamba´s last Incan capital city and refuge, heard about Lizárraga, through his contacts with local gentlemen farmers of that time, and this is how he got to Machu Picchu, on July 24, 1911, guided by Melchor Arteaga, another local land tenant, and accompanied by a Sargent of the Peruvian Civil Guard, named Carrasco. Once on top, they met two peasant families: The Recharte and Álvarez, who were living and growing crops, on the Incan liaqta´s benched terraces. After his first visit of Machu Picchu, Bingham remained deeply impressed, up to the point that, once back in the United States, he organized a scientific expedition sponsored by Yale University, the National Geographic Society, Kodak, his own wife and the Peruvian Government, to start the in-depth scientific study of the site, in 1912. Then, in 1913, he made Machu Picchu be known to the world, through a series of articles and pictures, published in the prestigious National Geographic Magazine that described all of what he had found in Machu Picchu. In 1924, Martín Chambi and Juan Manuel Figueroa; two master photographers from Cusco, took a series of pictures of Machu Picchu that were published in several Peruvian magazines, which generated massive national interest for the site, and turned it into a national symbol. 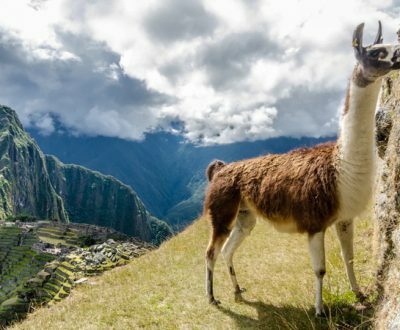 Then, in 1948, the Hiram Bingham Road was inaugurated by Bingham, in person, to connect the village of Aguas Calientes (Machupicchu Pueblo, since 2014) to the Incan liaqta, and so, progressively, Machu Picchu became Peru´s Tourist Icon and Main Destination. 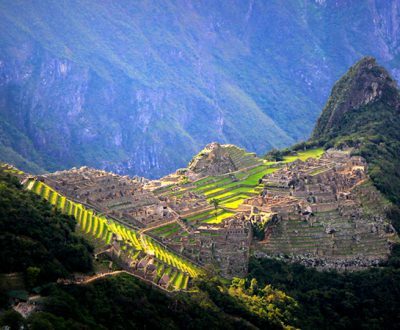 Since 1983, the Incan Liaqta of Machu Picchu is inscribed on the UNESCO´s World Cultural and Natural Heritage Sites List, as part of a protected area known as the “Historical Sanctuary of Machu Picchu” that was created by the Peruvian Government, in 1981. On July 7, 2007, Machu Picchu was elected as one of the Seven New Wonders of the Modern World, through a worldwide Internet poll, by over one hundred million voters, and also thanks to the massive participation of the Peruvian authorities and people. 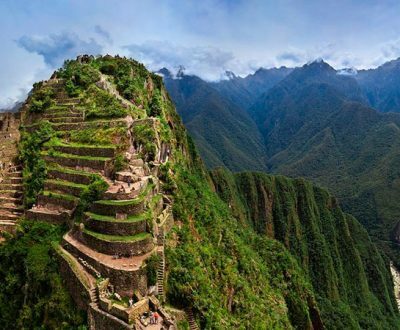 On June 17, 2014, TripAdvisor set-up a list of the world´s most sought for and appreciated tourist destinations, and Machu Picchu came first on that list. Indeed, Machu Picchu is the most visited site in Peru, by travelers from the whole world who want to appreciate it for its unmatchable beauty, grandeur and mystery. In fact, TripAdvisor explained that “it had selected the ten most wanted tourist destinations, on its list, through the use of an algorithm that took into account the quality and quantity of opinions, as well as the qualifications given, in 2014, to sites of interest, on a worldwide basis”.